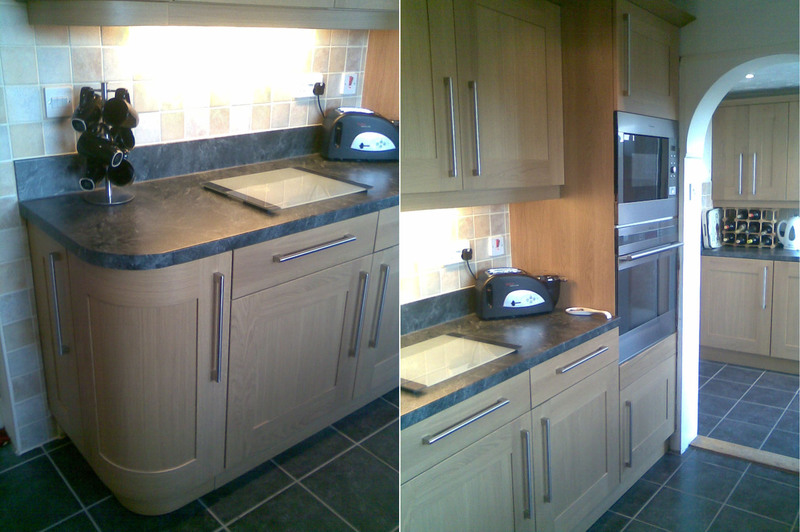 We’re very proud of this stylish kitchen and the craftsmanship that went into creating all those curves! The worktops were ‘mitred’ to match the curves of the base units, and with intelligent forethought and design, we even managed to create a space for the towel rail by the radiator. This kitchen really shows off the benefits of integrated appliances with frontages that match the units. Can you spot the washing machine and tumble drier underneath the wine racks? We also tiled the floors and put the archway in the dividing wall.